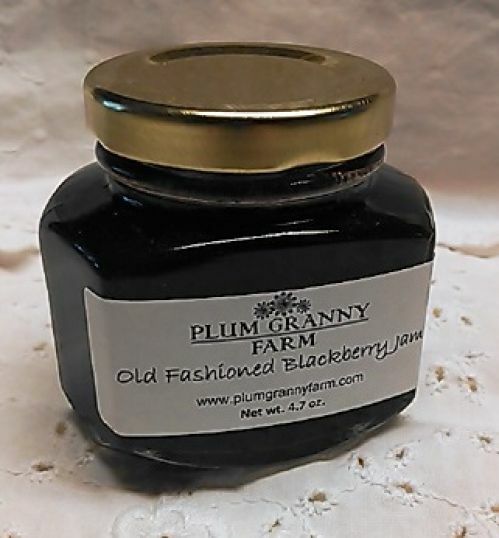 The rich, intense taste of our Triple Crown Blackberries (a farm favorite!) is simply highlighted with sugar and lemon juice. This is a very fruit-full jam – twice as many berries as sugar! Most of the seeds are removed leaving a smooth, summer-fresh jam for your morning toast or yogurt. The perfect size for gift baskets or stocking stuffers! 4.5 ounce jar.